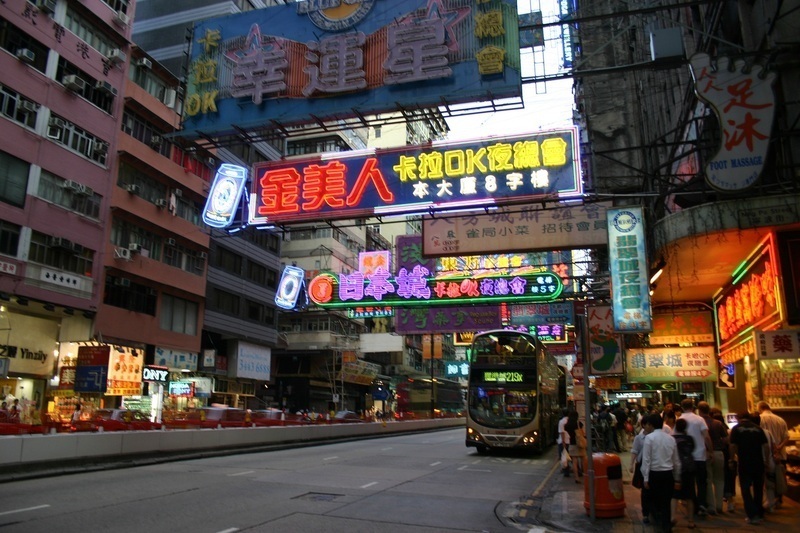 Taking in Hong Kong, China, an eclipse, and Dubai. My China pack arrived the other day. 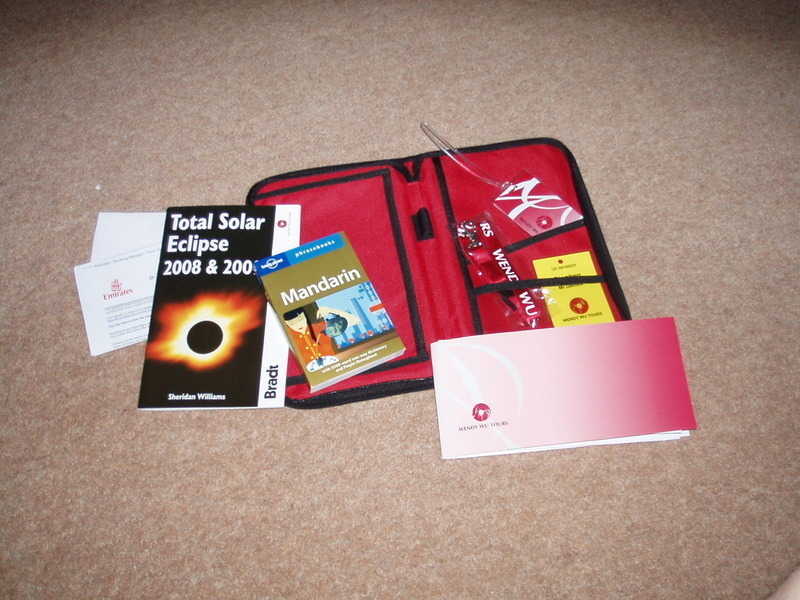 It contains my flight tickets, and tags etc., but they also included a Lonely Planet Mandarin phrasebook, and an excellent guide on everything to prepare for photographing and viewing the eclipse on the 22nd. Can’t wait! 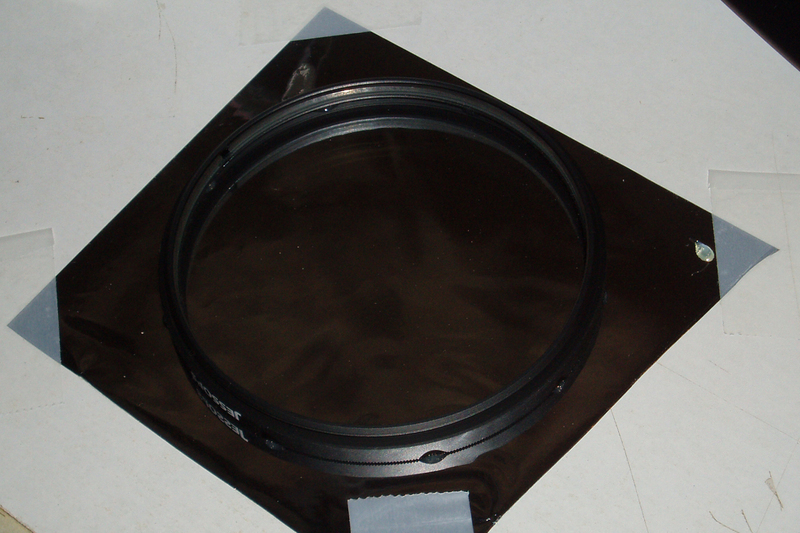 Using a cheap Jessops skylight lens, a pack of Baader AstroSolar™ film, and a few spots of Araldite®, I am making a filer for my Canon SLR so I can get a few (pea-sized) shots of the sun as the moon eclipses it, without burning out my eyes or my camera’s CCD sensor. All I need now is clear skies. I’ll have a practice round tomorrow in the garden. 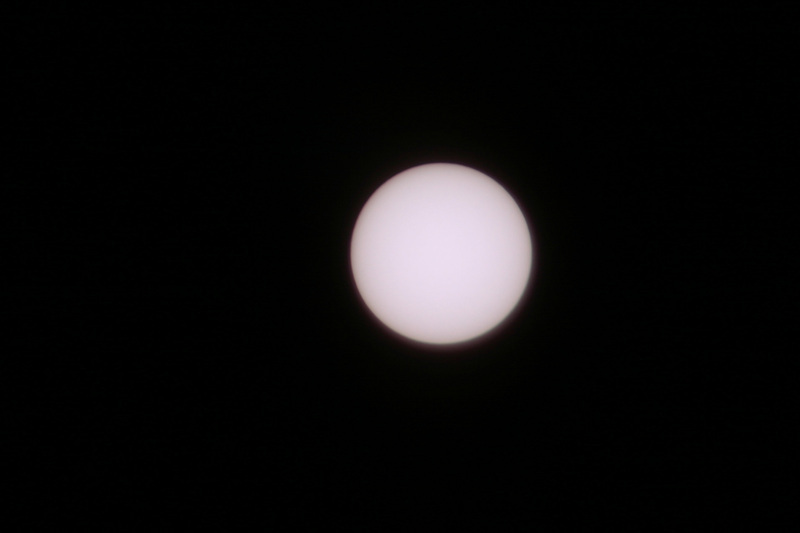 Well here are the results of my tests - the round one is the sun with a 200mm zoom, and a 2x magnifier and a solar filter. The second is the moon with the saame configuration apart from the solar filter. You can see the focus isn't ideal, but provided it's sunny, I should be able to get a good enough shot of the diamond ring! I've got all my settings worked out, so no farting around at the crucial moment! 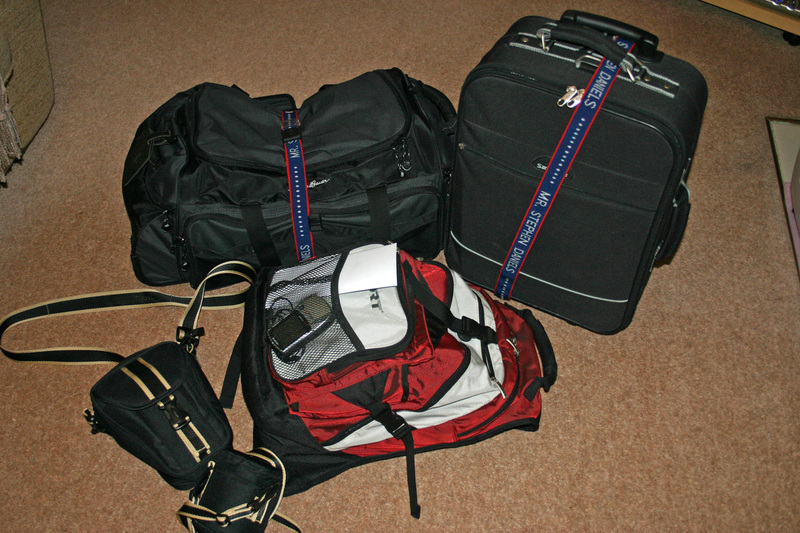 I was full of big ideas about going out with nothing, and coming back with my bags full. Pah. Heading for Glasgow in 45mins. Now what have I forgotten..? It comes in 2 varieties. 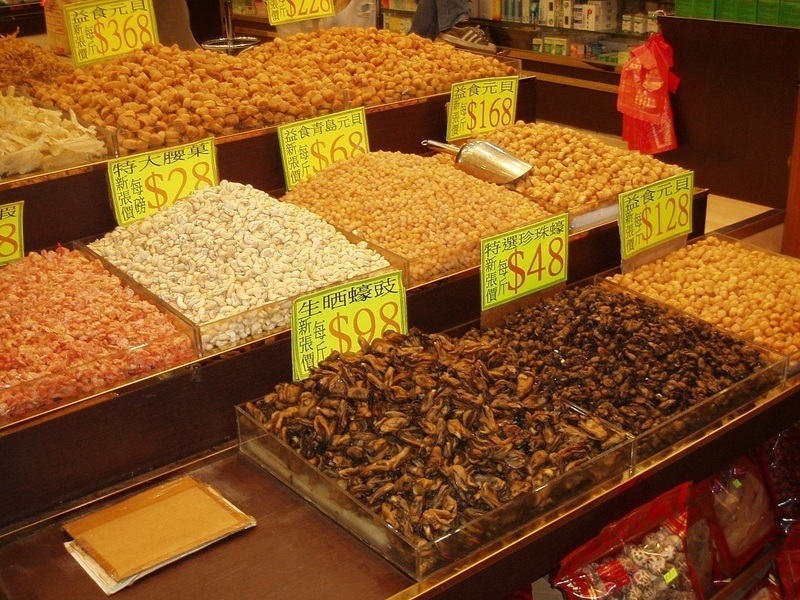 Scoop-your-own (dried fish bits), or Catch-you-own (live fish). It is very humid here tonight. They have a Level 3 Typhoon Warning for tonight, so I'm hoping it will have blown through by the morning. It leaves a bit of damage behind it after reaching 'Signal 9' at about 2am. 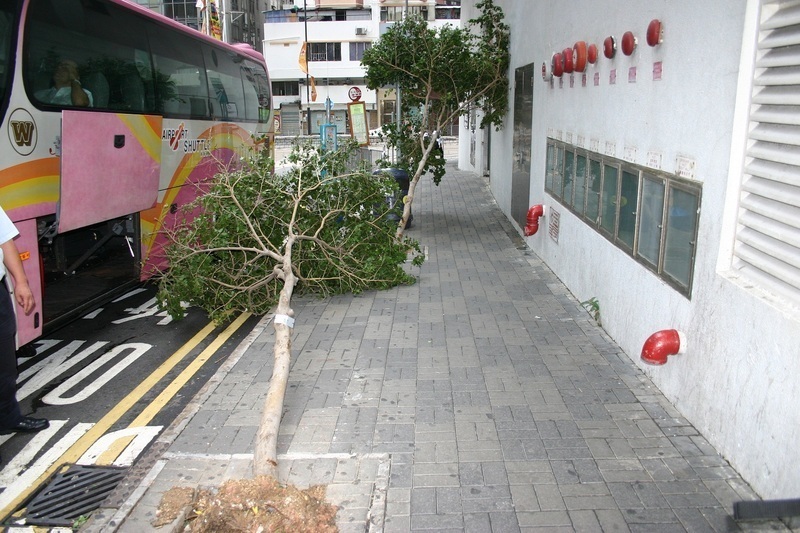 These trees were outside the hotel's side entrance. They were gone by the end of the day. 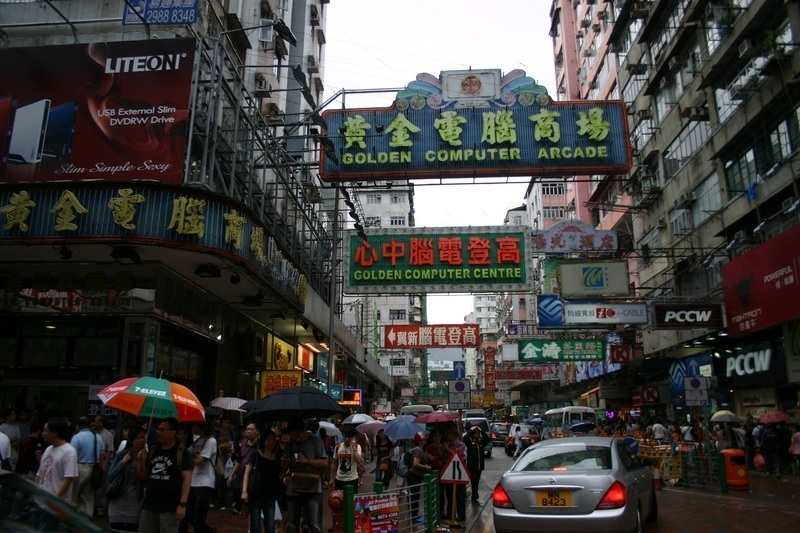 This is the Golden Computer Arcade which is 2 floors crammed full of many many individual 'shop counters' where you can get every computer accessory available. I could have spent have the afternoon in there. 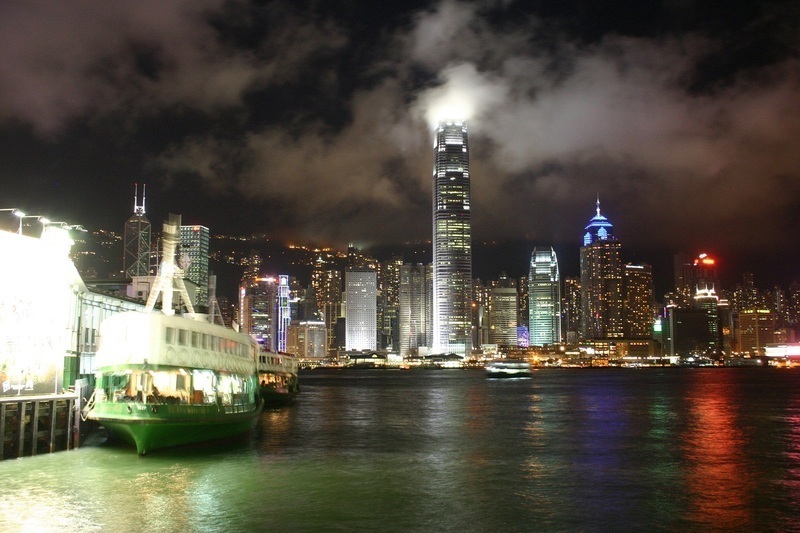 This is the view of Hong Kong Island from the Star Ferry Pier in Kowloon. The buildings flash all their lights every night at 8pm - apparently to music (though I didn't hear any). Double-decker buses just like Edinburgh, but a lot busier with shoppers as night falls.